A U.S. drone strike in Yemen reportedly killed five suspected members of al-Qaeda. According to witnesses who spoke to the Associated Press, the strike targeted a vehicle traveling in Yemen’s southern Shabwa province. A Virginia woman shot down a drone that was reportedly flying over her neighbor’s property. Fox 5 reported that Jennifer Youngman was sitting on her porch cleaning her shotgun when she saw the drone appear overhead and decided to take action against it. The U.S. Department of State is reportedly exploring the possibility of establishing international norms on military drone exports. According to Defense News, the State Department delegation to the Arms Trade Treaty in Geneva is encouraging international allies to sign on to a document that would require the human rights and transparency policies of the weapon systems buyer to be taken into account before a sale is made. In the August edition of Air Force Magazine, Will Skowronski examines the state of the U.S. MQ-9 Reaper force. At Vocative, Allee Manning and Tal Reznik take find out which U.S. cities are drawing drone businesses and hobbyists. At Buzzfeed, Sarah A. Topol examines efforts by several groups to stop the development of lethal autonomous weapons. At Defense News, David Larter reports that the Navy is determined to turn the Stingray drone into an aerial refueler. 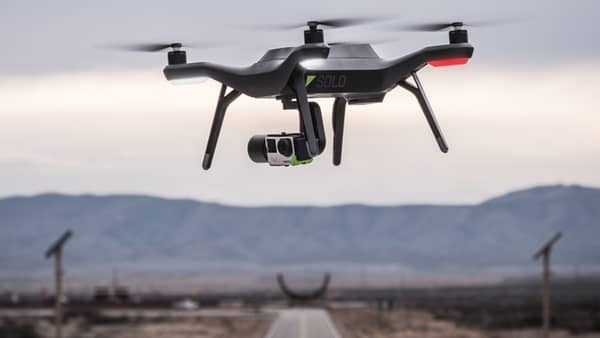 At Daily Nation, Gerald Andae examines the growth in the number of applications for commercial drone permits in Kenya. At the University of St. Gallen, Prof. Dr. Isabelle Wildhaber compares drone regulations in Europe and the U.S.
At CNBC, Arriana McLymore profiles Verifly, a mobile app that offers insurance for drones. At the Bulletin of Atomic Scientists, Julia M. Macdonald and Jacquelyn G. Schneider consider why the U.S. public largely approves of the use of military drones. At Geographical Imaginations, Derek Gregory examines the parallels between military drones and casino gaming. At the Motley Fool, Rich Smith looks as the competition between AeroVironment and Elbit Systems for Navy contracts for small reconnaissance drones. At Spar 3D, William Tompkinson examines how consumer drones could cost more over the long term than one would expect. At the Sunday Times, Catherine Sanz writes that the U.K. Ministry of Defence has spent €3.67 million on small drones since 2007. Bloomberg examines various Pentagon initiatives to counter explosive-laden drones. Business Insider claims that it has discovered the secret location in the U.K. that Amazon is using to test its Prime Air drone delivery system. News24 reports that the Nigerian government is seeking to replace its Chinese CH-3A drones with Yabhon 20 unmanned aircraft from the United Arab Emirates. FlightGlobal reports that Israel has agreed to supply Kazakhstan with an unknown number of drones.